It's a Monday Thing: House Music With Soul. Martin originally started playing Soul, Funk and Hip Hop back in the 80’s. He has always loved the more soulful end of the music spectrum. Martin has produced and co-produced many tracks as Candy Apple Productions and had tracks signed to various labels and compilations. Candy Apple Productions have done remixes for some outstanding artists over the years including Rosie Gaines, Shaun Escoffery, Garage City, SuSu, Stereo Sushi, Morehouse Records and many more. 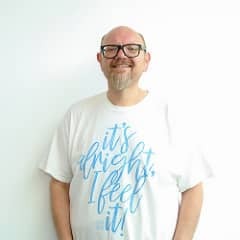 Martin has hosted shows on various stations over the past 20 years including; Moonlight FM, Touch FM, House FM, CN Soho Live, Passion FM and Push FM playing a broad spectrum of music from the soul through to the techier side of deep house. Catch Martin, Monday from 7 pm till 9 pm, only on Mi-Soul radio.